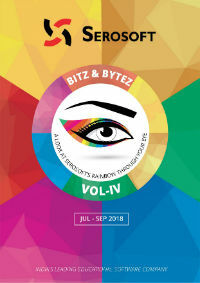 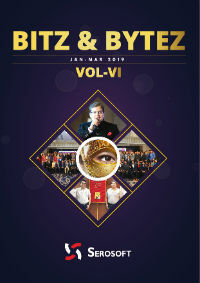 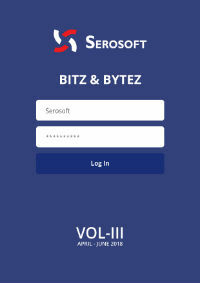 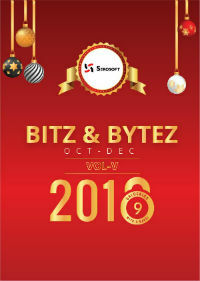 Bitz & Bytez is Serosoft’s Quarterly Newsletter. 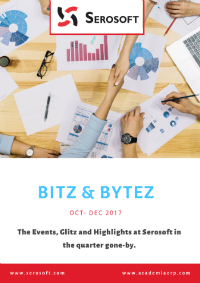 This newsletter, built on ‘team sourcing’, is aimed to provide all the stakeholders with a quick summary of events and updates at Serosoft, along with knowledge-enhancing pieces for everyone’s benefit. 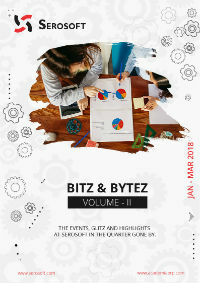 It also serves to showcase some of the latent talent of the awesome team that we are!